......Who do I call if I need help? Kikito, the house manager will help. Dial 911 for police. Should I take the ferry to save money? Probably not. Pay the money and fly. The ferry is often full, delayed or some other distressing thing, don't waste your short vacation on the ferry. ......Can I rent for just 2 or 3 days? No. ......Is a passport required? No, not needed if you travel from the United States. ......Electrical adaptors..You do not need one. It's the same as the states. Can I drink the water? Yes, it tastes good and is safe. ......Are there bugs? Not so many, I experienced a lot more in my home state of New York. ......Is this place dangerous? Most people are friendly. As with anywhere there is a criminal element that will steal your stuff. Leave your expensive jewelry home, lock your car when you go into Isabel. When you go to the beach excercise care, leave nothing of value in the vehicle unless you can see it from your towel. If you can't see your car from the beach, leave it unlocked, with no valuables inside. We have no fear of entering bars,stores, or walking around at night, but always excercise caution. Almost all people will be happy to speak with you, try out your spanish. ......Can we jam a 9th person in? Yes, it's going to be fun sleeping on the couch. ......What's there for us? All kitchen items, beach towels and all linens, boombox, patio chairs. No car but charcoal grill. No air conditioning or pool. Enjoy simple reality. It's nice. ......Is this your home? No it is not. We live near Boston. The villa is decorated but not full of personal items that you would find in someones home. ......Is it safe for my young child? No, this place is not for little ones who climb over things and could fall. Will my cell phone work there? I think they all work. ..definitely Verizon and AT&T. There is an internet cafe at the historical society in Esperanza. free WiFi at 'Belly Buttons' in Esperanza. Ask for the password and you're online quickly. ......Do I need to rent a car? Yes, book one in advance, in any case, even if you don't stay here. All the exotic beaches are reachable by car only and no taxi will take you there because they don't want to wreck their cars on rutted roads to the beach.Without a car you will miss 90% of everything to see and do on Vieques.Their are many rental agencies. My house manager will meet you at the airport and take you to the rental place and then lead the way to the villa. ......Can I walk to the beach? Sure, if you have an hour to spare. ......Is there air conditioning? No. Air conditioning shuts out the life of the island. You need to hear the crickets and birds, the wind in the palms, and the coquis at night. 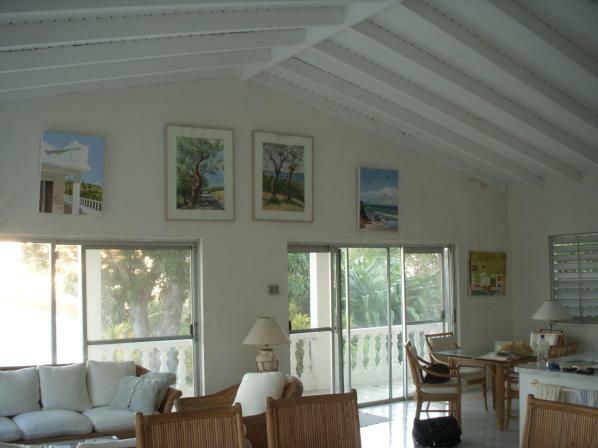 Ceiling fans over every bed will take the edge off the heat and the tradewinds come thru every open window. ......Is there a pool? Someday, not today. ......Where is Starlight Villa located? On a hill, above Esperanza, in 'La LLave' . Directions available. 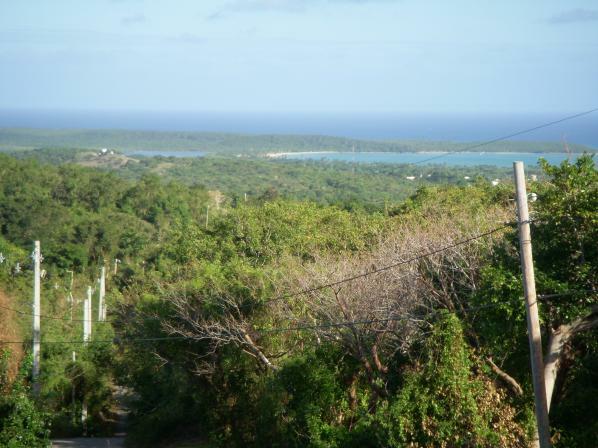 Vieques will enchant your mind and melt your cares away. Share in a dream world . . .
...Starlight Villa awaits. 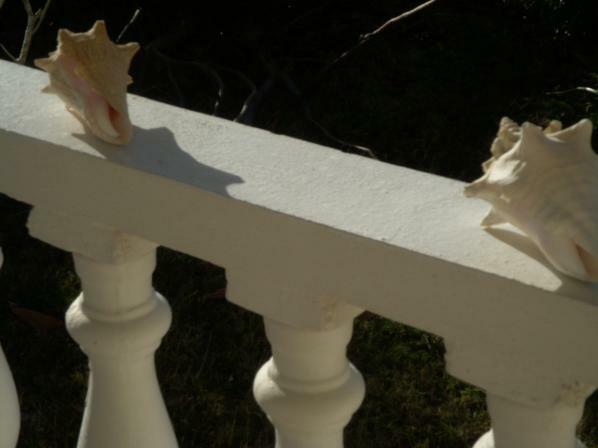 Come experience Caribbean sunshine & gentle breezes.